In honor of National Pistachio Day, we’re bringing you healthy pistachio recipes, from the sweet to the savory. First up is a super simple way to make them your new favorite snack, Spiced Pistachios. Chicken Zoodles with Mint and Pistachios are a refreshing and heart-healthy meal for the family. This beautiful Beet, Honey & Goat Cheese Salad makes a perfect light side dish. With a few simple ingredients, whip up this Pistachio Crusted Salmon in less than 30 minutes. Pistachio Cranberry Oatmeal Cookies are a new twist on an old favorite. If you’re looking for a unique side or a new version of your favorite sauce, try these Zucchini Noodles with Pistachio Pesto. 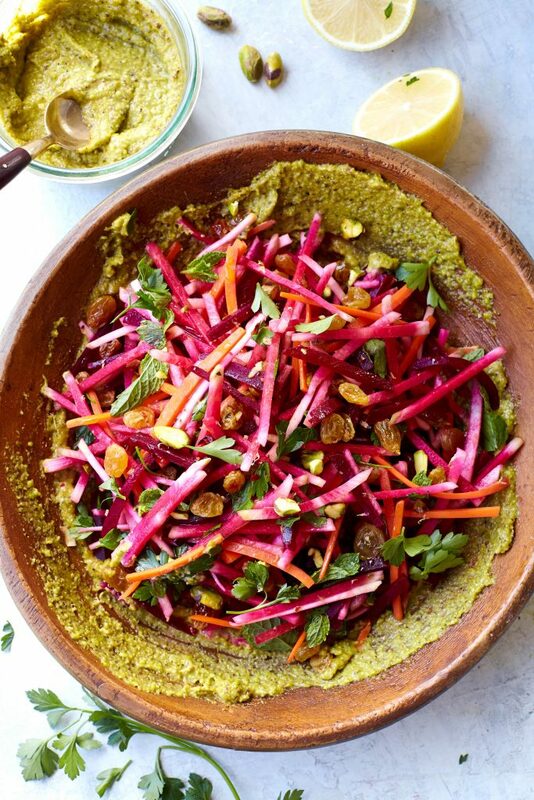 This Apple, Beet & Carrot Slaw with Pistachio Butter is a perfect substitute for coleslaw. It’s Great American Pie Month, and while pies are an American favorite, you may be cutting back on desserts for a healthier diet. But you can try these lighter pie recipes without ruining your resolutions. 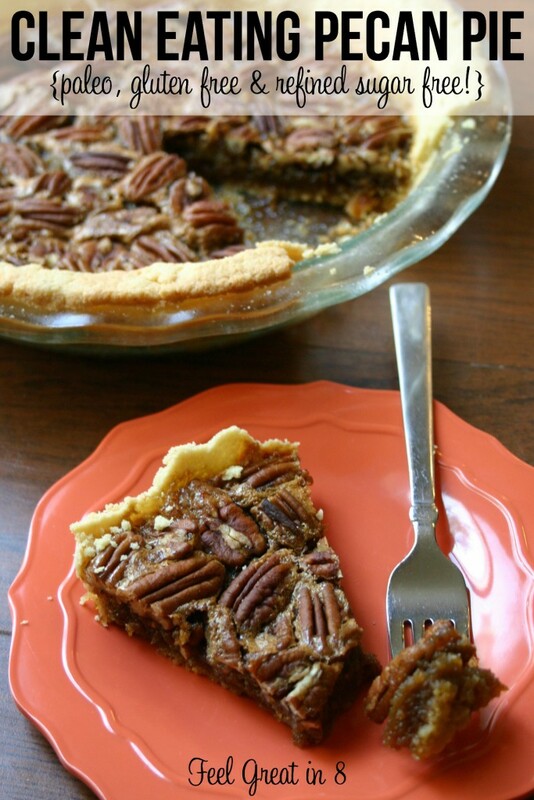 Try this Clean Eating Pecan Pie, especially good for holiday cravings. This Vegan Blackberry Key Lime Pie is a beautiful dessert to surprise guests with. Pie doesn’t have to be sweet. 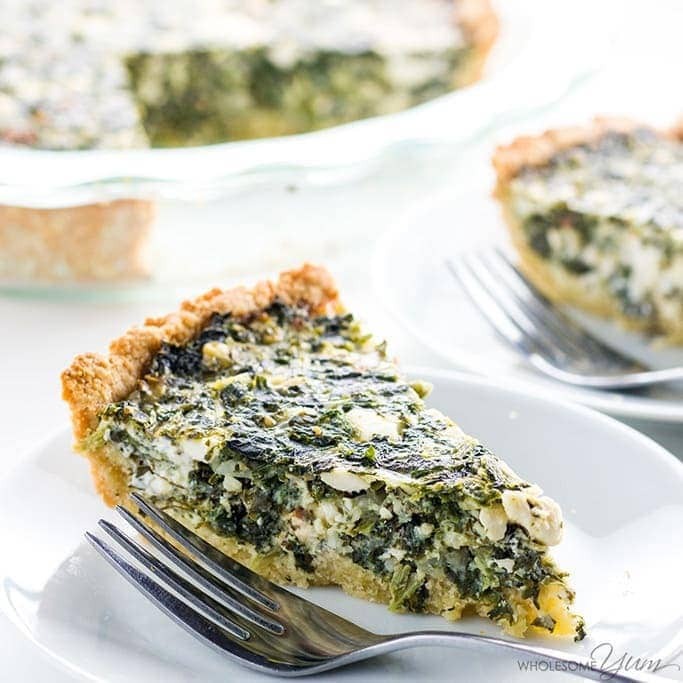 Try this healthy Easy Greek Spinach Pie for a savory take. This rich and creamy Gluten-Free Chocolate Avocado Banana Silk Pie only seems like an indulgence. This Healthy Key Lime Pie uses yogurt for its creamy, tangy base. 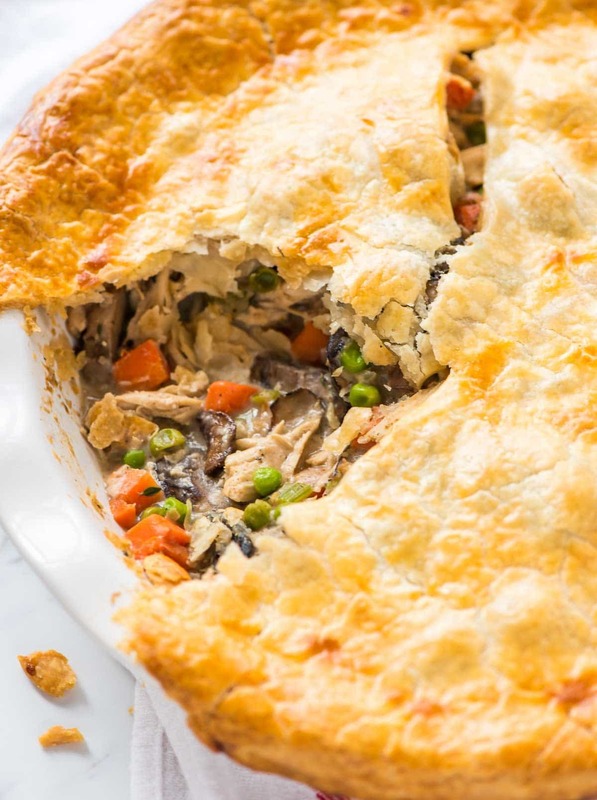 Warm up on chilly days with this delicious and hearty Healthy Chicken Pot Pie. Lighten up the childhood favorite with this raw Healthy Snickers Pie recipe. It’s National Pomegranate Month, and you can work the in-season fruit into both sweet and savory recipes for a fresh burst of flavor. These healthy pomegranate recipes can help you get started. First up is a beautiful dish for holiday breakfast, Cinnamon Spice and Pomegranate Oatmeal. Baked Balsamic Goat Cheese Stuffed Pomegranate Chicken is an easy weeknight dinner for the family. 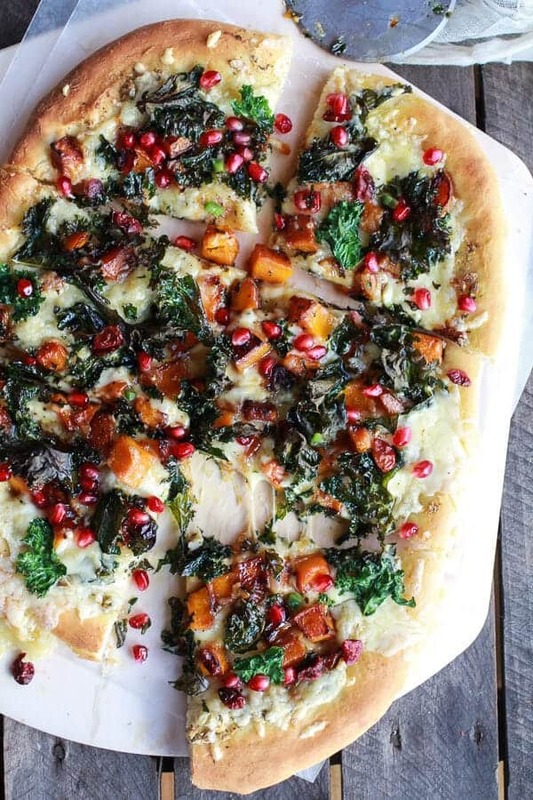 Lighten up everyone’s favorite with this Caramelized Butternut, Crispy Kale, and Fontina Pizza with pomegranate salsa. This beautiful Apple-Pomegranate Breakfast Crumble would be perfect for a Christmas morning surprise. Whip up a romantic date night with Beef Filets with Pomegranate-Pinot Sauce. This Fall Farro Salad with Halloumi & Pomegranates is a celebration of colorful in-season veggies. Go vegetarian for dinner tonight with Baked Pumpkin with Rocket, Feta, and Pomegranate. Apples don’t just have to be for dessert this fall. Make the most of your produce this Apple Month with these healthy, savory apple recipes. 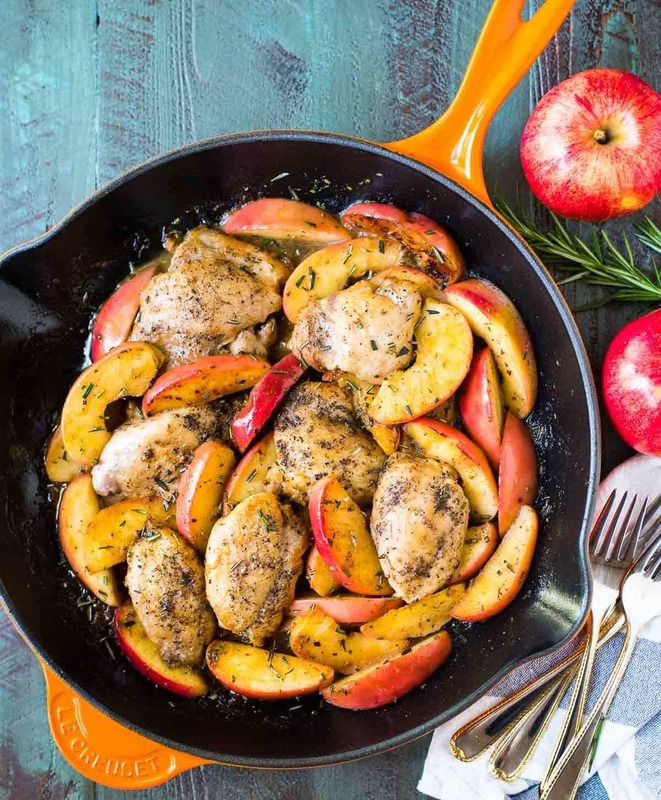 First up, try this Apple Cider Chicken Skillet for a dish that is packed with fall flavors. This simple Cauliflower Salad with Fennel & Green Apple is the perfect dish to bring along for holiday meals. 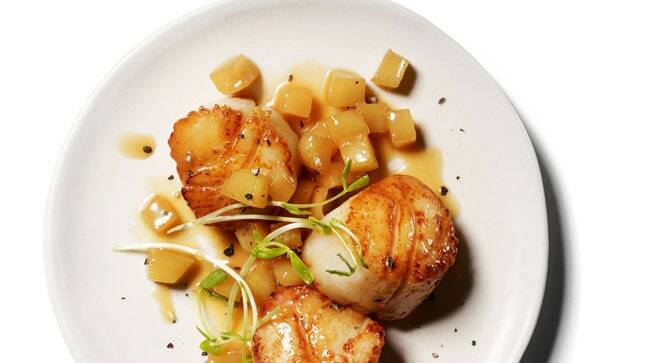 Try Scallops with Apple Sauce for a light meal that is one of the most unique ways to use an apple. 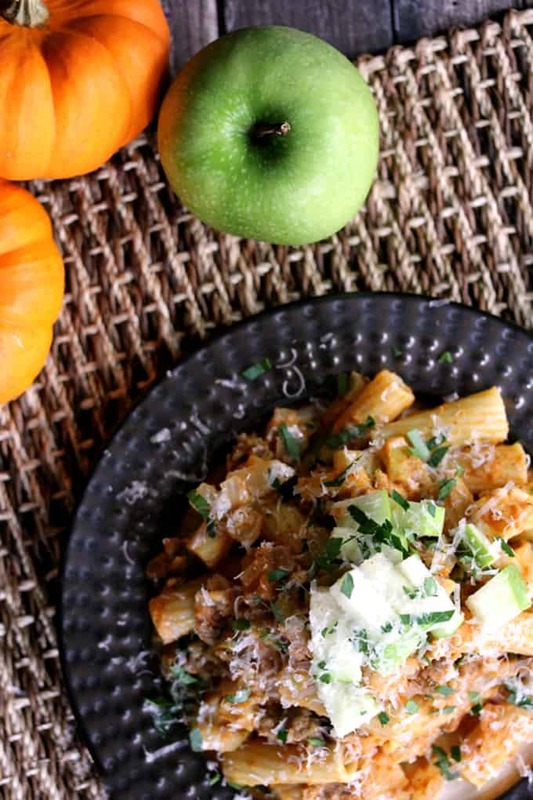 Pumpkin Pasta with Sausage and Apples has all your favorite seasonal flavors in one tasty dish. Savory Apple, Oat, and Herb Scones are best served with a bowl of hot butternut squash soup. 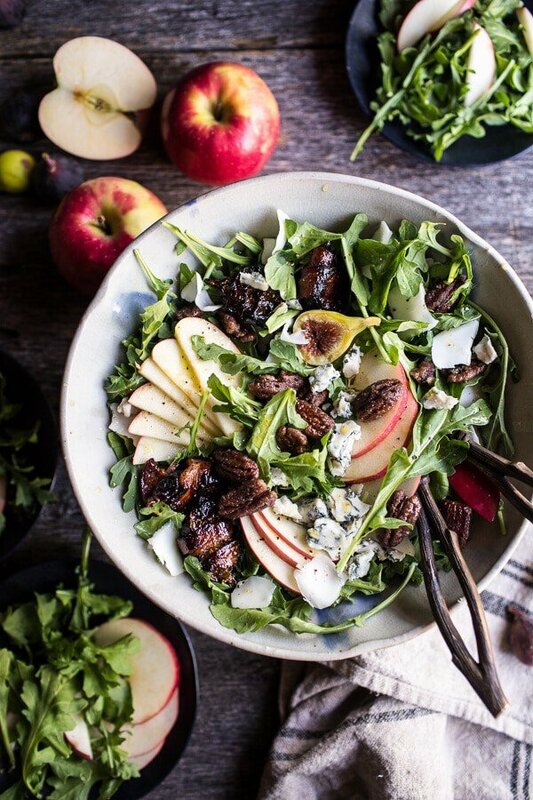 This Bacon-Wrapped Fig and Honeycrisp Salad is rich enough for fancy dinners or an afternoon craving. Bacon Wrapped Fig and Honeycrisp Apple Salad with Salted Caramel Pecans. This Seared Salmon with Caramelized Apples and Onions is the perfect combination of sweet and savory. It’s Eat Chicken Month, and in honor of it, we’ll have light and healthy recipes with your favorite protein all week long. Skip the dry chicken breast and eat this tender Herb Roasted Chicken Breast instead. 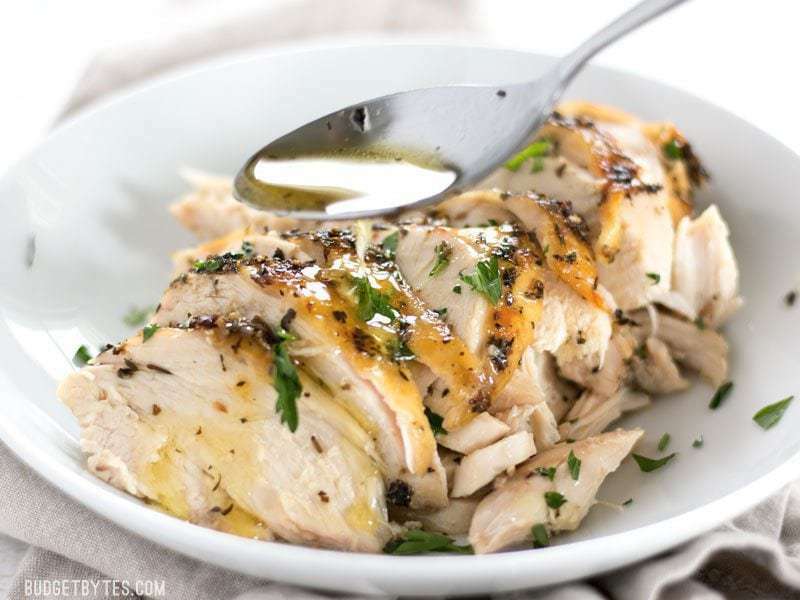 This Italian Herb Bruschetta Chicken is perfect for dinner or a meal prepped ahead of time for lunch. These Baked Chicken Fajita Roll-Ups are the perfect single-serving of your restaurant favorite. Whip up these Meal Prep Greek Chicken Gyro Bowls for easy lunches this week. Healthy Buffalo Chicken Bowls are a great way to get your fix without getting takeout. No need for huge appetizers when dining out, try these Healthy Chicken Nachos at home instead. This baked Ginger Chicken with Confetti Peach Salsa is a perfect combo of sweet and savory. This week, we featured in-season persimmon recipes to help introduce you to the fruit and help you enjoy it in sweet and savory ways. First up was easy Persimmon Coconut Overnight Oats that are the perfect way to wake up. This tasty Garlic Grilled Chicken with Persimmon Salsa is great fall comfort food. Cardamom Roasted Persimmons are a super simple dessert you won’t feel guilty for having. This hearty Autumn Persimmon Arugula Pasta will feel indulgent. Make this Vegan Persimmon Butternut Squash Soup for a comforting fall meal. Whip up brunch with this Avocado Toast with Persimmon, Pomegranate, and Fennel. 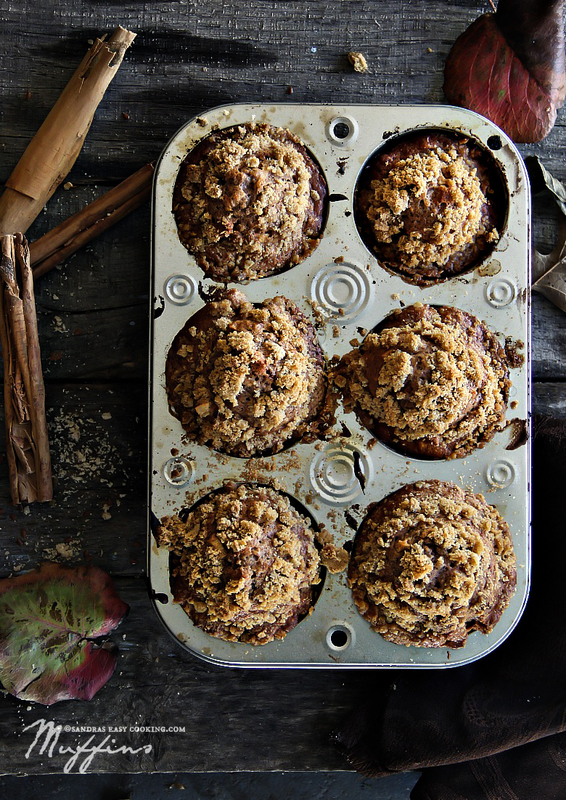 Apple and Persimmon Cinnamon Muffins are the on-the-go breakfast you need this fall. This week, we featured the tropical, in-season favorite, mango. It can be mixed into sweet and savory mango recipes for any meal. 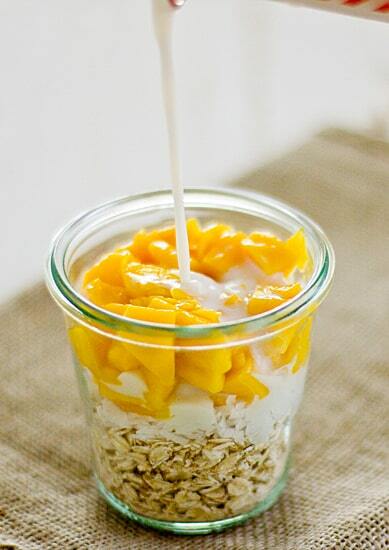 Make Coconut Mango Overnight Oats to get breakfast for the family ready ahead of time. This Mango Black Bean Salad is the perfect dip for chips or over lettuce for lunch. Caribbean Chicken Tacos are topped with a tasty, tropical Mango and Pineapple Salsa. Elevate the kids’ classic with Crispy Cashew Coconut Crusted Chicken Tenders with Mango Honey Dip. This Mango Quinoa Salad is the perfect side dish for your spring and summer BBQs. Make this delicious Coconut Mango Baked Chicken for a healthy but creamy and rich meal. This No-Churn Mango Ice Cream made with coconut milk makes decadence easy.